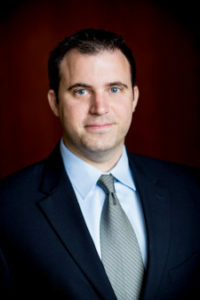 Peter joined First Capital Advisors in August 2013 and serves as the Director of Asset Management. He is responsible for the oversight of retail and multifamily properties for FCA’s portfolio. Peter brings over 10 years of experience to FCA by having managed over 500,000 square feet of retail, condominium, and office space. Previously, as an acquisition analyst for Inland Real Estate, he was directly involved with the underwriting and acquisition of over $700 million dollars in real estate assets. Prior to making a career move into real estate, Peter worked as an equity trader on the floor of the Chicago Stock Exchange for 9 years. Peter is responsible for the oversight of retail and self-managed multifamily properties for FCA’s portfolio. His diverse business education, experience, and understanding of national market drivers, various industry dynamics, and their respective application to real estate asset management will continue to be a vital asset to the company.